PT Softorb Technology Indonesia (STI) provides information technology solution focusing on RFID & Smart Card Technology for payment, identification, access control, e-ticketing, and many others. As a system integrator our company also appointed as hardware distributor for hardware products such as Dual-i, Omnikey, Identive, IEI, KY-Tronic. We are customer-oriented company that always strives in listening to our customers needs, creating the best value through our products, and giving excellent after sales service. We believe in customer satisfaction as the key for our business sustainability. Dragon is a contactless cards interface device which supports ISO14443 A/B, Mifare series, Felica and NFC (ISO18092) protocol at the same type. 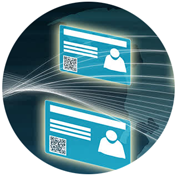 It, also, supports Contact cards (1 X SIM type slots) which comply with ISO 7816 for secured data transmission. 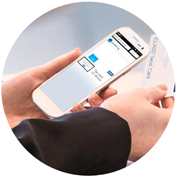 Especially, with its NFC manager package, it supports software engineers to develop variety of applications based on NFC technology. iTouch Pop 2 is a sophisticated terminal based on Android with 4.3 inch touch screen. It supports various communication links like Ethernet, USB, LAN, Wiegand, RS232/RS-485, WIFI (option) and contactless cards like ISO14443 A/B, ISO18092 (NFC), Mifare®, DESFire®, FeliCa™. iTouch Pop 2 includes 1-SIM type SAMs (Secure Application Module) for secure transaction or secure key management. 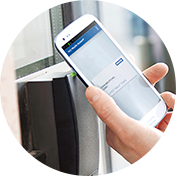 iTouch Pop 2 is ideal for various applications such as Time - attendance, Access Control System like ID check, Membership/Loyalty System and other NFC Applications. DE-630 is EMV RF Level 1 certified NFC contactless card interface device, designed for payment system. It shows stable & high performance, fully interoperable with other devices such as POS and ECR system. NFC PAD is contactless payment dongle with wide screen touch panel. 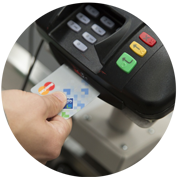 Merchants can simply attach NFC PAD to their existing POS/ECR. 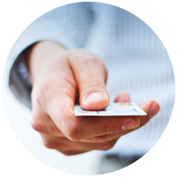 It enabling not only contactless EMV certification but also future payment solutions such as e-Wallet/E-receipt/NFC coupons. NFC PAD also available for plugfest version which provide P2P/Reader/Card emulation mode test environment for NFC Handset/device/chip manufacturers. RF Modules 4 SAM is multi protocol RF Module with embedded antenna (built-in antenna) and 4 SAM Slots, which support with ISO 14443 A/B, Mifare, Felica, and ISO 18092 (NFC). RF Modules 6 SAM is multi protocol RF Module with embedded antenna (built-in antenna) and 6 SAM Slots, which support with ISO 14443 A/B, Mifare, Felica, and ISO 18092 (NFC). NID Reader is an Integrated Electronic ID Card Reader. NID Reader can help users to perform fingerprint verification, read and display the demographic data, photographs and signatures on the electronic ID card chip. In addition, this device can also integrate with other applications to use the data of electronic ID cards. Strada PAL is combines ergonomics, robustness, scalability, and customization capabilities. Strada PAL is a terminal with unattended solar-powered multi-space parking meter providing services, payment and information to make life easier in your mobility. Designed to minimize environmental impact from construction through to dismantling and recycling.